Summer soccer camps are being offered for children ages 9-13 on August 4th, 11th, and 18th from 9:00am-12:00pm! 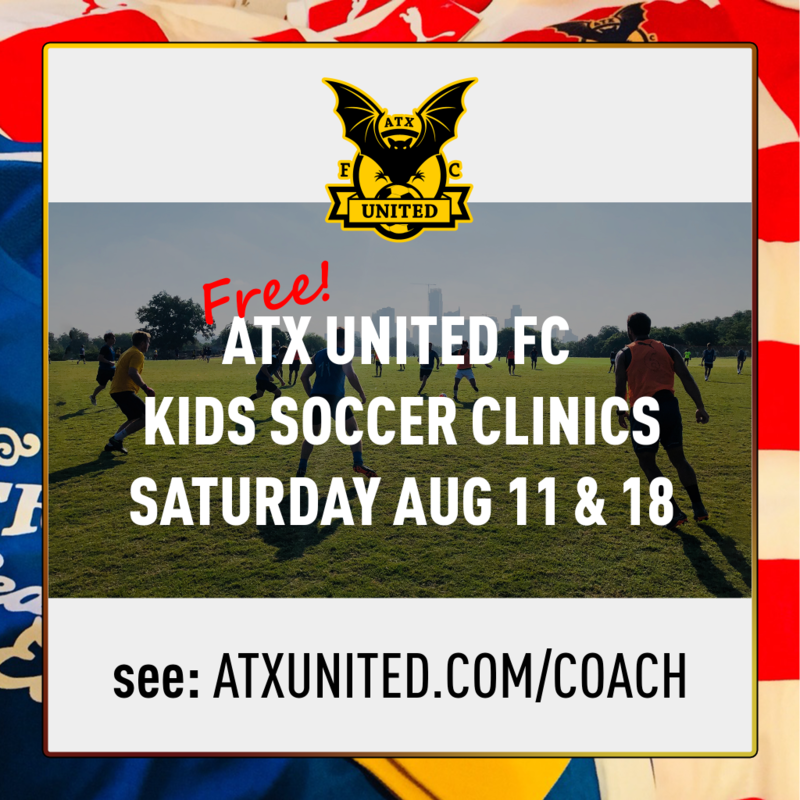 These camps are hosted by ATX United, a local 501(c)(3) not-for-profit, in conjunction with the City of Austin Parks and Recreation Department. Camps are limited to 40 children and require a signed parental waiver. Waivers will be provided on site the day of the camps and can also be found at atxunited.com/waiver. Kids should come ready to play with cleats, shin guards, athletic clothing, and a water bottle. Additional water, shade, and a few sets of shin guards to borrow will be available on the day as well. Parents can drop off kids and pick them up later, or stay to cheer them on throughout the camp.